Can an American Chinese restaurant chain make it in China? P.F. Chang's CEO Michael Osanloo said the chain hopes to open at least 10 more locations in Shanghai in the coming years. P.F. Chang's China Bistro is taking its menu somewhere it's never gone before: China. Founded in 1993, the Arizona-headquartered chain recently opened its doors in Shanghai — a first for the American Chinese restaurant, which has more than 300 locations worldwide. While the restaurant in Shanghai is still new, Osanloo estimates about 70 percent of patrons have been local; the rest, he said, are tourists and expatriates. American Chinese cuisine can be traced back to the 19th century, when dishes like chop suey gained unexpected popularity. But in recent years, it has taken form in restaurants such as P.F. Chang’s and Panda Express, which was founded in 1983 (and currently has no locations in China). According to Arthur Dong, professor of strategy and economics at Georgetown’s McDonough School of Business, it was the influx of Chinese immigrants during the '80s and '90s, who came to America to receive an education and obtain their masters’ degrees, that showed interest in these chain restaurants. Dong said after getting a taste of some of the different types of cuisine the U.S. has to offer — including their take on American Chinese food — Chinese immigrants become interested in bringing it back to China, especially after seeing how popular it was in America. He also noted that, during that era, U.S. fast food and chain restaurants were hardly seen in China. The evolution came about because of how fast the big cities were growing, along with local residents' curiosity for food concepts aside from traditional Chinese food to add variety in their diet. Our food is a perfect fit with the Chinese palette and the way China is headed. I think there’s a dynamic in America where they want to have their taste buds challenged a little bit and that’s how it’s been in China recently, too. “Even just walking into a McDonald's during that time was a very novel and special experience because there were so few of them,” Dong said. “But now, we’re in 2018 and 30 years into this exposure, and in all the big cities like Shanghai, Beijing and Guangzhou, you see great urbanization and massive buildup of population and of the middle class." According to an IBISWorld report, the fast-food industry in China was expected to generate nearly $151 billion in revenue 2017 — up 9.6 percent from the previous year. Dong said that popular American chains such as McDonald's and KFC, both of which have proven to be successful in China, have paved the path for more businesses to follow. Before a U.S. restaurant can expand its business in a country like China, Dong said there are several factors to consider: the first is setting up the store and location. “What they do is they usually partner with a local Chinese entrepreneur because sometimes going at it alone is difficult especially since they may know the location better,” he said. After that step, the business must work out the supply chain and ingredients, which Dong said can often be the most challenging and time-consuming, yet critical, part of the process due to potential food safety issues. Additionally, restaurants sometimes have to import ingredients from other countries if they don’t have certain items that are readily available. P.F. 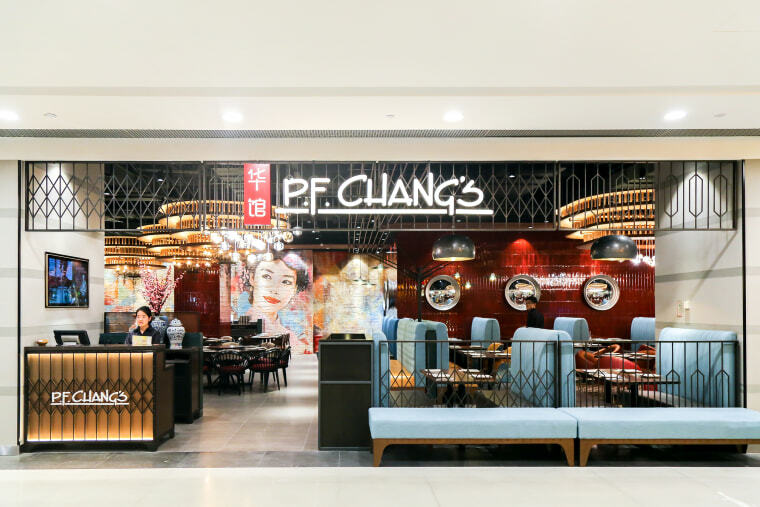 Chang's CEO Osanloo said the transition from bringing P.F. Chang’s overseas to China has been a lot smoother than he anticipated because of the combination of Chinese and U.S. resources to make it a seamless opening. Despite just opening, Osanloo said the dishes that have been the most popular so far are P.F. Chang’s chicken lettuce wraps and dynamite shrimp — all of which are popular in the U.S. as well. He added there might even be consideration to bring dishes to the Shanghai menu that aren’t on the American menu yet. As for continued expansion, Osanloo said P.F. Chang’s hopes to open at least 10 more locations in Shanghai in the coming years.